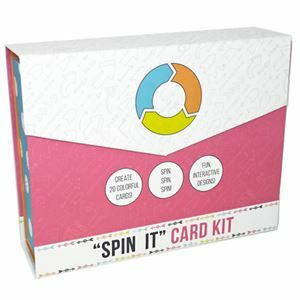 Create a unique, personalized spinner card with this Spin It Card Kit! Create an interactive spinner card where you decide the sentiment to include. From sweet to cute to funny, this card kit is as fun to put together as it is to give. Create 20 cards for a variety of occasions to send to loved ones! Photo safe, lignin free and buffered.